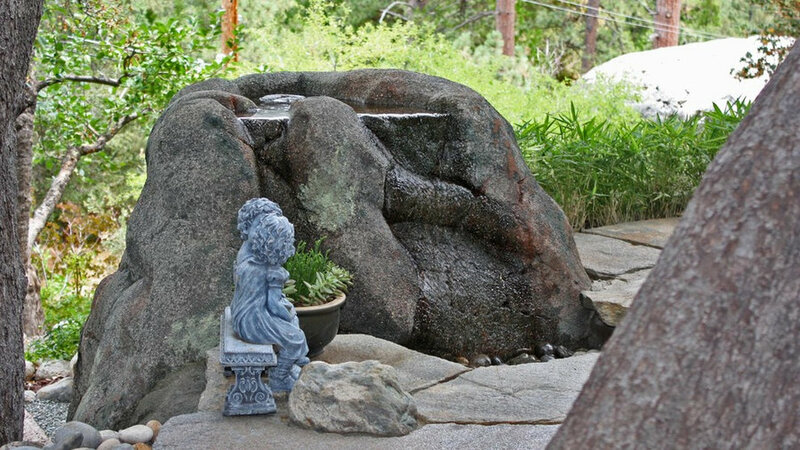 This water feature uses both natural granite and faux rock construction. The faux rock was used to allow a created spring to flow under a rock bridge and then between these two natural granite formations. 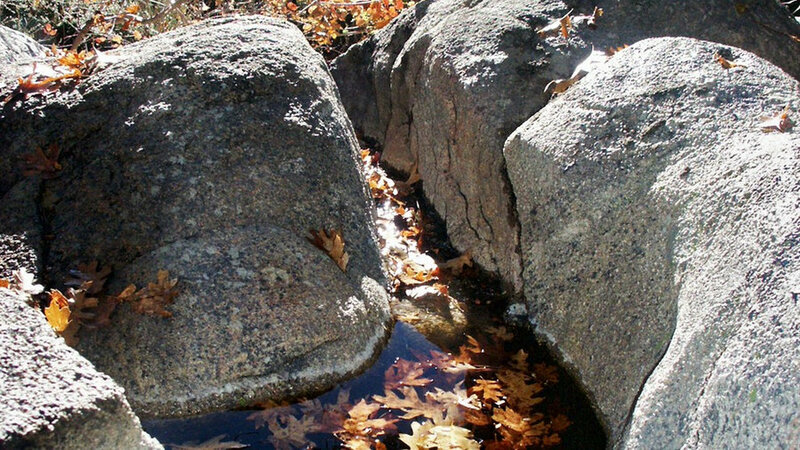 Beyond is a rock stream that flows into a fish pond. This faux granite natural spring is both a central feature of this garden space as well as an anchoring point for retaining the slope behind it. The silent pump is hidden below the decorative gravel and within the concrete work is a complete rubber liner to prevent any leaks. The soft sound of the moving water attracts birds and people alike.